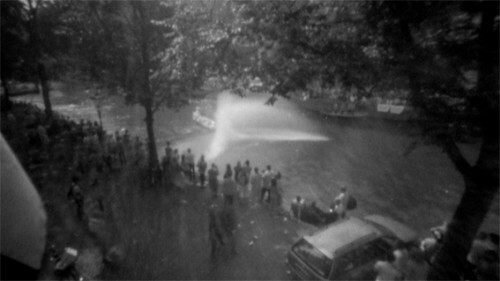 My pinhole movie "DRIJVEND ORANJE", was acquired by the collection of EYE Film Instituut Nederland. That movie is projected at each session before the movies: Sarco GRA & Lucia de B. (Accused) at EYE Film. Still image from "Drijvend Oranje"
Movie about the canal parade, in Amsterdam, of the National Dutch football team, after the World Cup's final, in 2010.